The Salvation Army's climbed into the debate about New Zealand's high levels of immigration, saying the Government and some industries see immigration as an easy-fix to skill shortages, rather than tipping the balance in favour of upskilling young New Zealanders. In a report titled What Next? focused on the employment needs of 15- to 24-year-olds, the Salvation Army says no young person must be allowed to leave school to nothing—no job, no further training, no hope. The report is critical of the way the Government has presided over a big increase in immigration levels. Report author Alan Johnson, senior policy analyst with The Salvation Army’s Social Policy and Parliamentary Unit, says continuing to import labour as an easy, short-term solution avoids the broader society-wide issues of what to do about the skills deficit of hundreds of thousands of New Zealanders and of catering for the needs of migrants. "As a country we need to have a rational and open debate around the role of immigration in New Zealand’s future." Johnnson says with insufficient public debate, "political choices" have been made. "These choices have given less priority to the young adults struggling to acquire skills and find work, than to employers eager to employ immigrant workers—some of whom appear to have few relevant skills. "Over the past three years, we have seen record net migration that is not just the result of fewer New Zealanders leaving for Australia but also a deliberate policy of allowing more people to migrate here. Just one-third of these have a job arranged before they arrive and there is little evidence that Immigration New Zealand is checking if the labour market is short of the skills these migrants bring." The latest monthly migration figures are due out at the end of this week, but net immigration has been running at an annual level of about 69,000 in recent months. The Government has steadfastly refused to publicly accept any problem with the situation but then suddenly last week announced tweaks in the migration settings that are in fact more substantial than appear to be on the surface. The new settings will particularly affect the numbers of people who have come here as students and then seek permanent residency. "New Zealand’s problems of persistent youth unemployment are not caused by recent migrants taking jobs. Youth employment problems are the result of Government failure, and the responsibility for this should not rest with people who have come here looking to build better lives for themselves and their families," Johnson says. The Salvation Army says New Zealand industries relying on the use of migrant labour to solve their labour shortage problems should be required to plan for the inclusion of more young New Zealanders into their sector and be required to demonstrate a tangible commitment to this before a relaxation of migration policies is considered to meet labour needs. "Young people doing nothing is a future New Zealanders surely cannot casually accept," says Johnson. "Over the next decade or so, New Zealand faces three challenges around our labour markets. We persistently have 75,000 young workers under 25 who are unemployed, unengaged and often with few, if any, marketable skills. We have a looming labour shortage partly caused by an aging population, with more than 900 people reaching retirement age each week. Our third challenge is how we manage immigration to ensure New Zealand has sufficient skills and energy to grow without exacerbating congestion and housing shortages." Johnson says future workforce forecasts point to a continuing need for immigration to provide not only essential skills in short supply, but also workers to fill the places left by an aging population. "However, persistent unemployment among younger workers and the difficulty many have in finding a secure place in the labour market suggests their needs are not being given sufficient importance when decisions are made around immigration policy settings. "In framing our recommendations for this report, we believe this lack of importance (which could conceivably even be described as indifference) should change. "In particular, the balance between training and recruiting young New Zealanders and simply importing skilled and unskilled labour needs to change in favour of young New Zealanders. "As part of such a shift we believe Government should adopt a number of so-called active labour market policies (ALMPs). Such an approach should include industry-specific workforce plans that reach beyond vague strategies and good intentions, to specific funded programmes that align young people to identified jobs and career pathways." Good on you Sallies - they can see what's going on while our so called leaders have given up on the young and lower skilled Kiwis. Shame! @KIWIDAVE , maybe you have some insights as to why the Unitech , which has been offering FREE vocational and skills training to school leavers in closing down campuses...... due to a lack of enrolments ? Methinks the real issue here is that some of our young people don't want to obtain the skills and training that is freely available and necessary to become a fully functional hard-working tax paying contributor to our society . Yep, being a hard working tax paying contributor doesn't pay anymore. Being a lazy non tax paying parasite is the name of the game and that market has been cornered already. Probably because the courses were useless at actually helping anyone find jobs. Like dress making for one example and marine biology for another. If an industry is likely to have 5 vacancies why train 50 kids who then stack up student loans. our tertiary and university education seems disconnected from the jobs that are available. The Tertiary Marketing sector is part of the problem. Their brochures all state potential earnings at the completion of a course. Plenty of decisions are made based on that, and end in disillusioned kids when they cant get a job. My 18 year old has struggled to get full time employment out of school. It really isnt easy for youth, if I was not involved, he would probably would still not have work. A lot of kids don't have parents actively involved, and a lot of parents don't have the networks to help their kids. What we need is more school leavers training in trades, what is the government doing to incentivise this to potential employers ? its the free market, globalisation is leading to lower pay packets, not the boom we were promised. So we need to get used to being poorer, not all of us, just those not on the property ladder. if all the real costs are included.The Clark-Key governments have been a complete disaster. Be interesting to see if any of the usual shrills accuse the Salvation Army of racism. Not racism , but utter stupidity ! The Sallies should stick to their core business , and stay out of politicized comment . We have teacher Unions opposed to kids being taught and tested rigorously , now the Sallies are saying "no one should be allowed to,leave school without a skill before the age of 20 "
Social Engineering like Hitler did with Germany, or Moa Tse Tung in China or Stalin in Russia ? When I lasted checked we had a democracy with freedom of choice , not a dictatorship ! What's their "core business" ? Of course they, like everyone else, are allowed to make political comments. And given that poverty is a political issue they have unique insights. If you don't like their comments please don't attempt to shout them down. Engage and say why you think their position is incorrect. We do have a a large number of young people without jobs and are not training - I like most people think that's an issue. What's your solution? They are a charity to help the needy , they should stay out of wild political commentary and inflammatory and unsubstantiated comments like 'Government failure "
Just who do they think they are ? I thought it was a free country, do you feel this strongly about right wing think tanks like the NZ institute that are more than happy to spread their propaganda at any given opportunity? It looks like the Salvation Army are just getting sick of having to clean up the mess, and doing the job that the government should be doing. They are perfectly entitled to make comments about things that are directly affecting them. Well said. Boatman is just missing the point completely. "Salvation Army says no young person must be allowed to leave school to nothing—no job, no further training, no hope"
1. No government of any type in all of history has been able to achieve this. 2. Specifically, a job in life in no guarantee of hope in life. 3. It is the nature of freedom that young people should be allowed to do what they want. "We persistently have 75,000 young workers under 25 who are unemployed, unengaged and often with few, if any, marketable skills." I wonder what the $13.4B educational system in this country has to say about that. Sorry AK79. They are not allowed to make political comments on training - in my view. For the reason that this is exactly a business they have been in for many years and taken tens of millions of Govt money to do so. I might actually agree with their view on this training, but it's inappropriate for them to be drumming up business for themselves as contractor. Democracy is not a guarantee of free money. It should be about freedom of choice to prepare oneself for employment or go without. Benefits should be short term stop gap measures only. "kids being taught and tested rigorously" sounds pretty damned totalitarian to me. If it is democracy you want, perhaps you should visit one of the outdoor schools around, I know of two, one north of Auckland and one currently operating in and around Cornwall Park, soon to be Clevedon. The only really rigourous thing done there is raft or hut building, tree climbing. My grandkids attend one of them, box tickers they aint. they've just suddenly realised that now - where've they been all this time? It all comes down to trader ShonKey caring stuff all for our youth who are our future. Oh for goodness sake ! The Sallies have no business poking their pointy noses around the immigration issue . They should stick to their business of helping the poor , the indigent , and those who really need help . Anyway there are literally hundreds of Government initiatives to up-skill young people , many of them are FREE . What must Government do with youngsters who are NAFI ( No ambition and F*** all interest ) , must they wipe their backsides for them too ? We have been tough on welfare since at least 1991 - probably longer. That approach is working. We cannot be "tough on welfare " or hard on the recipients , as that is unfair and not the Kiwi way , but the Sallies saying things like Government failure for training the youth , when the Unitech ( which offer FREE vocational training for youngsters) is closing due to lack of enrollments , you need to ask why ? Show me, boatman. Show me this "FREE" vocational training.... also, why should you be given voice and opinion, but not the SA? Tough on welfare? Don't make me laugh! I know of a guy in his mid-50s who has never done a day's work in his life. He's quite capable of working, just doesn't want to or see why he should when he can get free money. "We have been tough on welfare since at least 1991 "
He used to be with the RB, he has fact after fact after fact for you that explains successive governments failures regarding immigration. "Almost any builder in Auckland will grab any youngster will to work and willing to learn"
This is Bull#4it. The building industry is a mess. Almost every builder in small firms work on a contractual basis. Minimum wage doesnt apply (currently), you have to invoice your hours weekly, if it rains you dont get paid, no holiday pay, no sick pay, no stats, pay your own ACC etc etc - Show me any 16 - 17 year old capable of doing this without some parental intervention. And yes - I have real world experience with this with multiple builders, and multiple kids trying to get involved. The unspoken issue with the Sallies' latest missive is that it assumes the Gubmint is responsible for everything. In not one single of these factors can a Gubmint even measure, let alone manage, individuals' situations. And even where Gubmint functionaries assume 'control' over individuals, as for prisoners and the prisons-without-walls that constitute the more hopeless welfare sinks of our fair land, the quality of the management is distinctly patchy. Pedophiles end up housed by childcare centres, prisoners are slung out into unprepared communities with a cheap suit and a small stash, and salaried, unionised welfare workers are expected to act as if parents and as if they actually care. To be sure, there are small sparks of hope and glimmers of light in these perpetually dark places. But how many are the result of Gubmint, rather than concerned individuals', action? And of course it raises the thorny issue: even if a Gubmint Could, Should it? Just what is the boundary between individual self-determination and external control? Gubmints and munnnnny. We're running out of it. I have no respect for the Salvation Army as they advocate for increased training, which surprise surprise has been a significant income for them for decades. In recent times they have not been doing well in that business so we see this marketing so they can get more government money. In my town it can be clearly observed that the Salvation Army only do work that the government pays them for, and given the property development that occurs, it's been very profitable. We have too many businesses trying to make out they are charities, when they are actually just contractors to the taxpayers. I'm all for political advocacy of any hue, but not as business promotion by government funded organisations. In my view once an organisation becomes a contractor they lose the right to speak from some moral highground. Yes , have you seen that swanky new property development of offices they have just built near Apollo health centre on the North Shore ? Does the salvation army pay tax? If not then maybe they should. This new found source of munnnny can then be used to train our unemployed youth. Yes, lets shot the messenger so we do't have to address the issue . Let's pick fault with the Salvation Army so we don't have to do anything. Let's provide anecdotal evidence that "disproves" the Salvation Army so we can feel better about ourselves. Or we could accept the Sallies anecdotal evidence. I doubt their reasons for making such remarks are founded any altruism for the poor and unemployed youth, and, the Sallies , when I last checked were not registered as a Political Party , so whats the motive? Exactly right, looks like a few of JK's mouth pieces out and about, how dare anyone criticize this government, we must try to keep the facade of doing well at all times, and never address any issues. Boatman could do well to take your comments on board. Why should a charity that helps the bottom end of society not speak out on reasons they believe are causing the issues they are dealing with? The sallies founder General Booth, was an advocate on political issues of the day that caused the societal dysfunction he was dealing with. Even our Government is finally tacitly admitting NZ unskilled workers and our kids are being displaced from lower rung jobs, by work visa migrants. This human scrap heap is a disgrace, good on the sallies for speaking out. More credible organizations like them should do so. 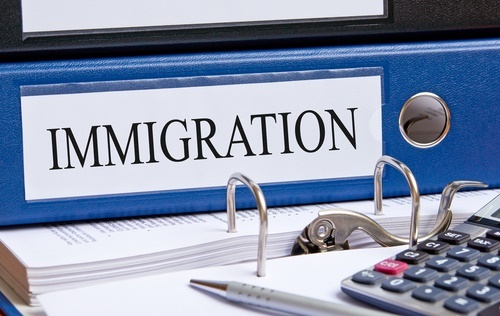 While it might be easier to hire migrants who are often more malleable, employers bleating about the impact of the points system tightening will now just have to help agencies find a way to identify those people wanting to work and give them a chance. I have an interest in a medium sized business, part of whose workforce is semi and unskilled. Yes, some Kiwi kids don’t have the right attitude but our managers work with them, encourage, motivate, clip them round the ear when needed and send them down the road if they don’t respond. Most come to the party if you are prepared to invest in them. I was a little smartarse once with a bad attitude but will never forget those who gave me a go and knocked me into shape. If there is one thing that wikileaks has taught us over the last few weeks it is this: Don't trust anybody who isn't a worker in the private sector earning a salary and paying PAYE. I agree. 40% of the proletariat pay no income tax so should be excluded from the political process. Similarly cut out all govt employees and allow only elite private sector proles to run the show. Bound to be a runaway success. "middleman" you say - Why should a charity... not speak out on reasons they believe in." I will give you the same answer as given to AK79 above. They are not allowed to make political comments on training - in my view. For the reason that this is exactly a business they have been in for many years and taken tens of millions of Govt money to do so. I might actually agree with their view on this training, but it's inappropriate for them to be drumming up business for themselves as contractor. You can make the choice as a charity to speak out, but the Salvation Army are a business in the training industry - not a charity. Political grandstanding to increase business is not acceptable. If your conspiracy theory is correct that the salvos comments are directed at creating more opportunities for their training enterprises, wouldn't they be arguing the contrary - i.e. keep the immigrants coming to consign more kids to the scrapheap and generate more need for their services ? Boatman will not be passing further comment on this topic , and his final word is the Sallies have an open door to meet Government leaders to discuss these things . Why then , have they chosen to make unfounded inflamatory political statements and caste aspersions in the public arena ?